Sebastian Vettel needs to calm down after being punished for dangerous driving in the Azerbaijan Grand Prix, says Red Bull's Daniel Ricciardo. 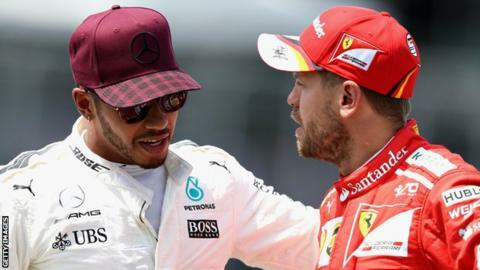 Vettel was given a 10-second stop-and-go penalty for deliberately swerving into title rival Lewis Hamilton's Mercedes during Sunday's race in Baku. "Seb probably sometimes doesn't think before he acts," Ricciardo said. "It's probably driven through passion and hunger. He's kind of just got to put a lid on it sometimes." The Australian, who was Ferrari driver Vettel's team-mate at Red Bull in 2014, won the race after dropping to 17th on lap six following a chaotic sequence of events, which included three safety car deployments, multiple crashes and the sight of Hamilton having to give up the lead to fix a loose cockpit head-protection device. Ricciardo, speaking to BBC Sport, said: "I respect Seb a lot for his grit and his love for the sport, which turns into a lot of passion and sometimes aggression. I respect and like that about him. "But today you have seen… whether it's over the radio, sometimes he will just go crazy. It is probably - what's the word? - spur of the moment? There's a better word." Vettel was responding to a belief that Hamilton had 'brake-tested' him - deliberately slowed down to cause him trouble - as they were preparing for a restart after a safety-car period. Stewards examined data from Hamilton's car and concluded he had done nothing wrong - he had merely not accelerated out of the corner as he prepared the restart, as is his right. Ricciardo said: "Look, whether Lewis slowed down or not, he has every right to dictate the pace. He's the leader, and it was too early for him to accelerate. "You're not going to make the restart out of Turn 15. Seb was probably just a little bit over-excited." Vettel was also given three licence penalty points for his actions, taking him to nine. If he receives another three at the next race in Austria on 7-9 July, it would trigger an automatic ban for the British Grand Prix a week later. "It was incredibly dangerous of Sebastian Vettel. He's a real hot-head. We saw it in Mexico last year with his radio messages, and that was nothing but an emotional response to what he thought Hamilton had done to him. "It was dangerous. Had something failed on Hamilton's car as he was going down the pit straight at 200mph, let's not even think about the consequences. Vettel was very foolish and the stewards agree and they gave him that 10-second penalty. "This needle was kind of inevitable, because they are really the only two guys in this championship fight and they both really want it. The stakes are so high in F1 for so many different reasons that it's impossible to be best mates with your main rival. But Vettel needs to take a long, hard look in the mirror." "It was a bit of a misunderstanding. "It was actually a bit of a comedy in a way. It was a sideswipe, whether by intentional or by accident, we don't know. "Hamilton is trying to win his fourth world title, to match Vettel's four. Vettel is trying to pull away and win a fifth. "All these comments are mind games, building up the pressure. Lewis Hamilton was playing mind games on the circuit, too. When it came to the next safety car restart, they were in the same position and guess what? He went even slower. 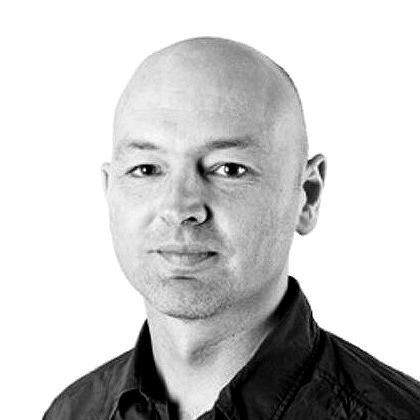 "To me it is all part of the love and war of a world championship in F1." Hear more reaction and analysis from BBC Radio 5 live's F1 team as they review the Azerbaijan Grand Prix.